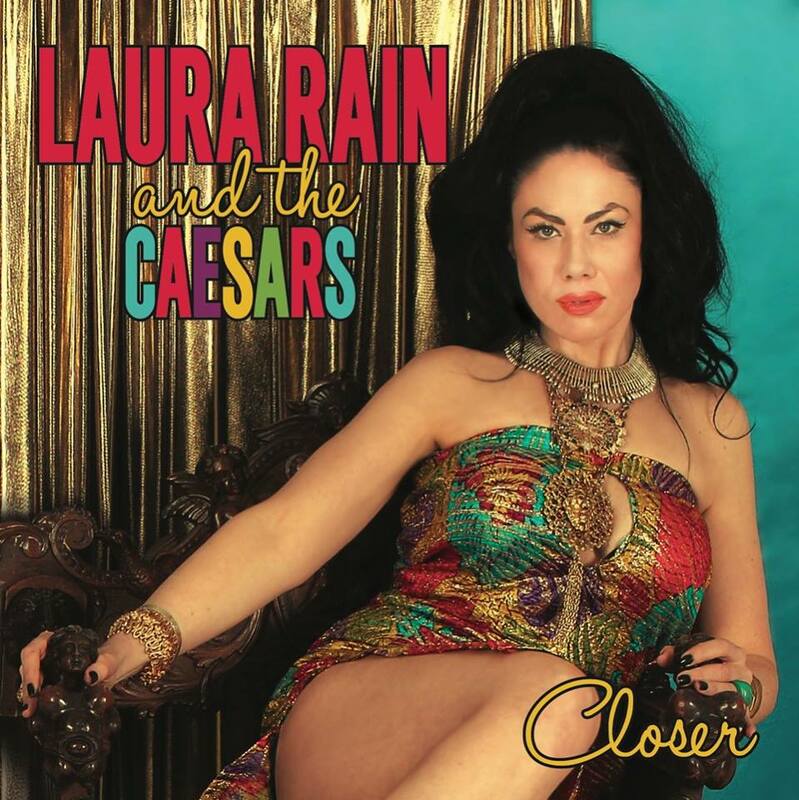 Detroit’s Laura Rain and the Caesars seem to have internalized everything good about blues, R&B, funk, and soul, and in the process created something smart and soulful of their own: a retro modern vision of soul and blues music, immediately familiar yet completely fresh. This set expands on last year’s debut Electrified with more great songs, killer arrangements, a broader range of styles, and a deeper blues feeling that permeates every track. The core group of Caesars remains the same: Ron Pangborn (drums and percussion), Phil Hale (keyboards, including left-hand “bass”), and George Friend (guitar, co-writer, recording and mixing engineer). For Closer, Rain and bandleader Friend had very definite notions about how the completed songs ought to sound, and to that end brought in ringers in some cases to achieve specific goals. The album credits list drummers Terry Thunder, Todd Glass, and Rick Beamon, with Sheila Hale on tambourine; Leon Powell and Jim Simonson (electric bass); Duncan McMillan (organ); and Johnny Evans (saxophones) and John Douglas (trumpet). This Detroit All-Star team has laid down a record that sounds full when it needs to and spare elsewhere. Uptown and lowdown, hungry, vivid, and confident, Closer is just plain badass. In the album opener, “Seasons,” the Caesars build a funky brick house on a bone-crunching, AC/DC-worthy riff. Rain’s impassioned call-and-response vocal sanctifies the grounds. “Super Duper Love” (not the Sugar Billy song covered by Joss Stone) is a knowing, instant-classic 21st Century soul blues hit that grafts a gritty guitar break and an indelible vocal hook onto a syncopated, bass-and-organ figure that could have come straight from an early-‘80s side by Prince or Rick James. Another unforgettably catchy melody tops “Dirty Man,” an ultra-funky slice of modern-leaning, mid-tempo R&B. Slightly more classical in form, “Meet Me in the Middle” is an irresistible dance number, filled with swirling organ, hard-hitting horn blasts, and a slamming rhythm section. Rain’s phrasing and timbre are ideally matched to the song, and absolutely delicious. Her sass and enthusiasm are reminiscent of another great Detroit singer, a legend whose initials are A.F. An infectious, straight ahead blues, “Squawkin’” updates Little Milton’s immortal “That’s What Love Will Do” with an especially hip bass line, ferocious drumming, and the stinging guitar of Caesar-in-chief Friend. Rain’s on-the-money wails are heart-stoppingly effective. The Caesars visit the deep South on several numbers. Soulful backing voices and an insistent rhythmic pulse give “He Is” a distinctly gospel-inflected, Muscle Shoals sound that would make Mavis Staples envious. Friend’s terse lead guitar neatly cuts through an atmosphere thick with electric piano and clavinet. “Awful Sin” comes straight from the swamp. A dark, brooding tonality puts the song in a class with Tony Joe White’s “Did Somebody Make A Fool Out Of You,” but Friend’s slinky guitar lines, wobbly with tremolo, and a greasy, ominous groove stamp it with that difficult-to-capture Staple Singers feeling. “All Of Me” could be a lost O.V. Wright or Ann Peebles record. Its bluesy groove, something like “Breaking Up Somebody’s Home,” sets a rock-solid rhythmic hook that frees Rain to do her thing; a sophisticated middle section moves the song to another, transcendent level. Finally, still in the Royal Studio mode, “Closer” has all the hallmarks of a creamy Willie Mitchell production for Al Green. From the drumming (and the drum sounds) up through the deep-grooving electric bass, horns, Hammond organ, and spare, precise guitar, the silky feel sets the mood for Rain’s simply beautiful melody line. 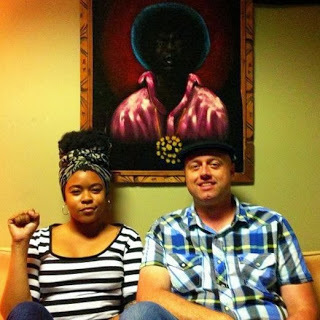 Lovers of Memphis soul will recognize this affectionate tribute as a great song. Rain excels at the slowest tempos, too. With swelling horns in the deep soul tradition, tough guitar, and a stirring vocal that moves with ease from subdued to flamboyant, “Your Love Is Not Broken” evokes the depth and searing intensity of James Brown’s devastating Live at the Apollo ballads. When she hears this song, Bettye LaVette will wish she had it first. The disc ends with “My Heart is Open,” a soul ballad with all the stunning sweep and scope of a Hollywood epic and none of the schmaltz. A Marvin Gaye vibe comes across in the song’s elegant chords as outlined by Phil Hale’s piano and strings, and in its sonics, an impossible combination of intimacy and spaciousness. Much of its success rests on Laura’s amazing performance: a masterpiece of dynamics, pure, unaffected, and deeply emotional. I tried to describe the wondrous singing of Ms. Rain in my review of Electrified (see http://alturl.com/4t3vo) and will confine myself here to reiterating that very few vocalists are in her class when the discussion gets serious about technique, instrument, emotion, and absolute freedom of expression. Laura Rain is a real soul singer, period. She is recorded better this time out as well, with frankly incredible results. The arrangements are first-rate, and the songs extend the arc of blues and soul music in unexpected ways, while paying respect to their influences. Closer is a varied album of soul and blues that could have been made by Johnny “Guitar” Watson or Johnnie Taylor. 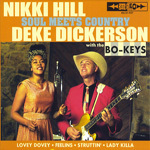 Anyone serious about soul and blues music ought to hear this meticulously crafted, heartfelt record.